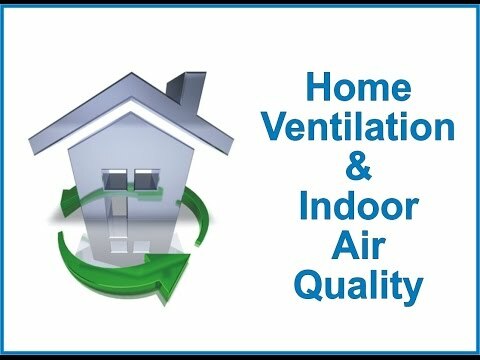 Clark Seif Clark (CSC) provides indoor air quality services that identify ventilation issues that can create issues for building occupants. At CSC, our building science professionals are regularly called upon to investigate indoor air quality issues, and most of the time, a building’s ventilation system plays a critical role in these investigations. Americans spend up to 90% of their time indoors so the indoor air quality (IAQ) in their homes is a critical component of a healthy life. At times, indoor pollutants can accumulate to levels that can pose health and comfort issues, particularly when there is too little outdoor air entering a building. These pollutants may include mold, bacteria, tobacco smoke, volatile organic compounds (VOCs) and other chemicals, radon, allergens, elevated levels of carbon dioxide and carbon monoxide, and other substances. One common approach to lowering the concentration of indoor air pollutants is to increase the amount of outdoor air coming in. Outdoor air enters and leaves a home by infiltration, natural ventilation and mechanical ventilation. When infiltration takes place, outdoor air flows into the house through openings, joints and cracks in walls, floors, ceilings, windows and doors. Air may also move out of the house in this manner and this is known as exfiltration. With natural ventilation, air moves through open windows and doors. Air movement associated with infiltration and natural ventilation is caused by air temperature differences between indoors and outdoors and by wind. There are also a number of mechanical ventilation devices, from exhaust fans that remove air from a single room, to air handling systems that use fans and duct work to continuously remove indoor air and distribute filtered and conditioned outdoor air to strategic points throughout a building. The rate at which outdoor air replaces indoor air is described as the air exchange rate. When there is little infiltration, natural ventilation or mechanical ventilation, the air exchange rate is low and pollutant levels can rise. To learn more about ventilation, indoor air quality, environmental, health and safety testing services, please visit www.csceng.com, email csc@csceng.com or call (800) 807-1118.